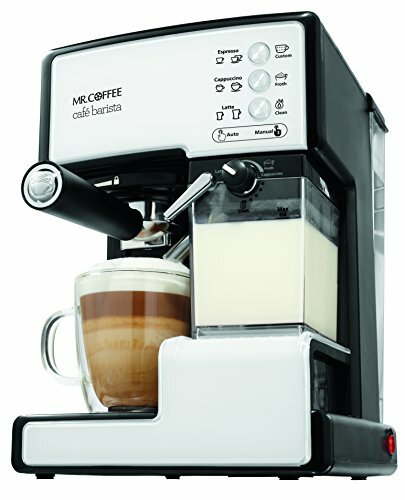 With one simple touch, Mr. Coffee Café Barista brews espresso and automatically froths milk for cappuccino and latte selections. You don't need barista know-how to create custom drinks like your favorite coffeehouse; simply pick a single or double shot filter, select your grounds, fill the milk reservoir, and choose your brew. A recipe book is included to help you create impressive coffee drinks—from Espresso Martinis to Raspberry Cappuccinos to Choco-Nutty Lattes.